Colorado is a state with a rich mining heritage. While many know about gold and silver, an equally important story is that of coal. This program will explore our regions history of coal and the people who lived and worked in Colorado’s northern coal fields. Colorado is a state with a rich mining heritage. While many know about gold and silver, an equally important story is that of coal. 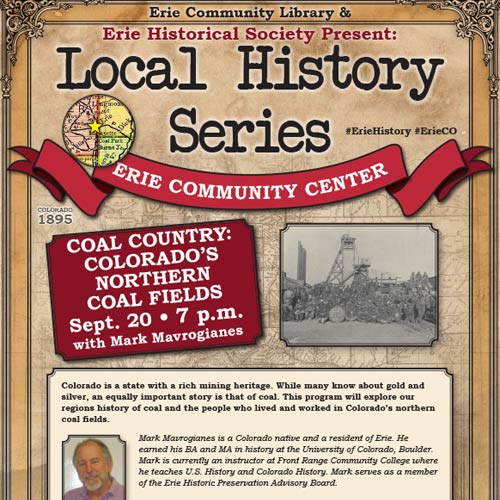 This program will explore our regions history of coal and the people who lived and worked in Colorado’s northern coal fields. This program will be held at the Erie Community Center. Mark Mavrogianes is a Colorado native and a resident of Erie. He earned his BA and MA in history at the University of Colorado, Boulder. Mark is currently an instructor at Front Range Community College where he teaches U.S. History and Colorado History. 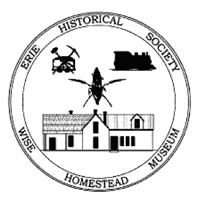 Mark serves as a member of the Erie Historic Preservation Advisory Board.